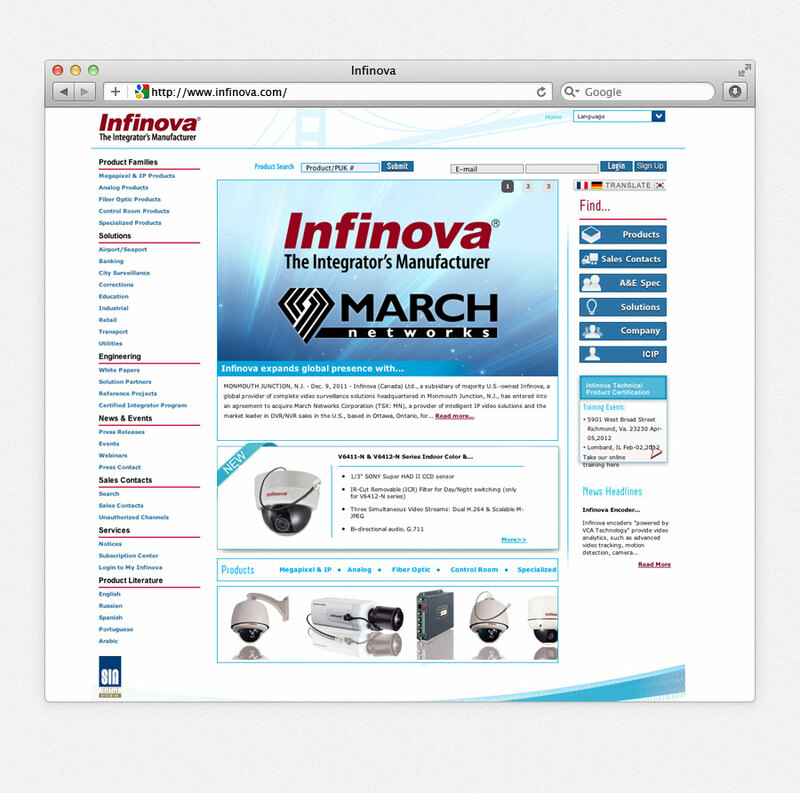 Infinova manufacturers surveillance cameras and other security equipment. They have a global client base, which presents unique challenges when trying to create a single unifying brand. This American company is an emerging force in the global security marketplace.? The previous web site lacked a coherent branding vision. Pages were cluttered and information was hard to find. The new marketing director, Mark Wilson, wanted a unified branding theme and a coherent face for the company. We agreed that it also needed a more powerful search feature so visitors could quickly find information about security solutions, products, or staff contacts.? POP designed templates for each of the main pages. Infinova's inside technical team implemented the design on a PHP/MySQL database framework. The web site has hundreds of pages viewable in four languages. This is certainly one of the largest corporate sites we've ever worked on. And we can now sit back and see a consistent look and feel across all their marketing materials.